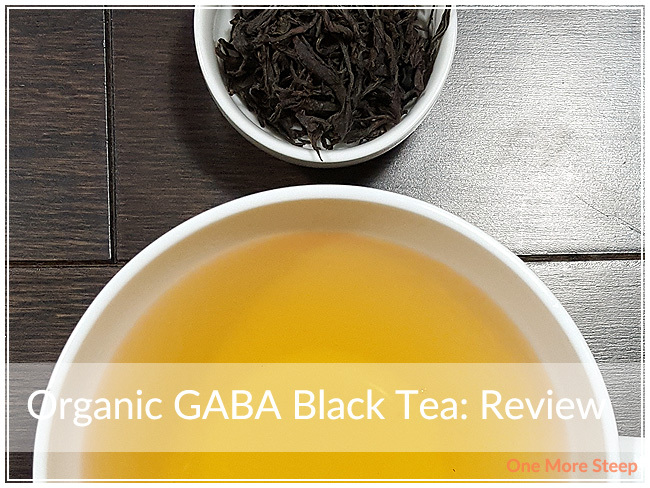 Grand Tea has provided me with Organic GABA Black Tea for the purposes of providing an honest review. I received this product at no charge to me and received no other compensation. I have never had GABA tea before. For those not in the know, GABA is short for gamma-Aminobutyric acid (γ-Aminobutyric acid), which is a neutrotransmitter. 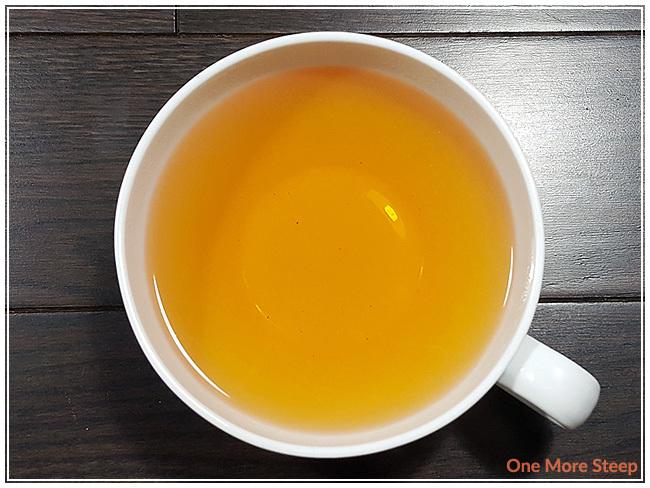 GABA teas were developed in the 1990s in Japan, where a new type of tea was developed with GABA in the tea leaves and then a method of fermenting tea leaves was developed in an oxygen-free environment to keep the GABA in the tea leaves. I don’t know all the details about this (I did read a little bit about it on the Organic GABA Black Tea page and on Wikipedia). When I opened up the sample of Organic GABA Black Tea, the first thing I noticed is that there was a lot of tea in there. The tea leaves are huge and wiry with light twists. There are some deep plum notes that I smelled at first, with some subtle notes of grass and hay. Organic GABA Black Tea is a straight black tea. 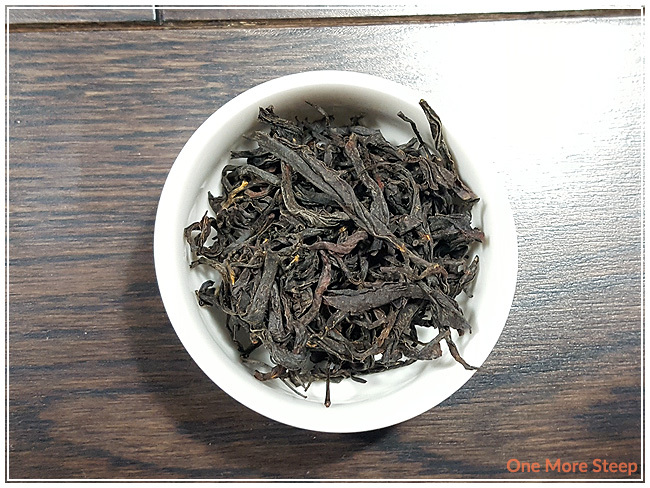 Grand Tea did not have any preparation recommends for Organic GABA Black Tea. I steeped mine in 100°C (212°F) water for an initial steep of 4 minutes. Organic GABA Black Tea steeps to a beautiful golden orange colour. There are some berry notes when I smelled the tea as I waiting for it to cool. There’s also a bit of a grassy fragrance to this tea. On first sip, I could taste the grassy notes, a fruity taste that reminded me of currants, and light floral sweetness. The tea itself is very smooth, there’s a pleasant mouth coating feel to this tea. I find it to be very ‘light’ feeling for a black tea (especially compared to all those breakfast teas I’ve reviewed lately). It’s quite refreshing to sip. The floral sweet notes are just enough, I don’t think a sweetener is needed. It’s bitter-free and that’s always nice in a black tea. I found the second steep of Organic GABA Black Tea to be a bit crisper in flavour. It has a bit more of a bite at the end of each sip. There are heavier grassy flavours, a little less floral, and just the hint of plums. The third steep had the least amount of flavour overall, the grassy notes are low and the tea has a bit of a malty note to it. I found the third steep to be the least enjoyable, and would say that Organic GABA Black Tea is excellent for up to two steeps. 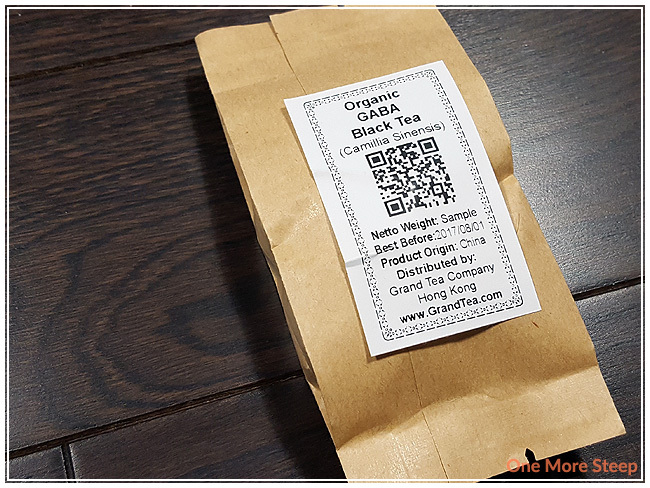 I liked Grand Tea’s Organic GABA Black Tea. I love trying new things, and I’m not sure if I felt calmer after drinking Organic GABA Black Tea or not because the act of drinking tea generally just makes me calmer and happier. I found the flavours to be an interesting mix and was tasty for the first two steeps. The leaves are amazing, I was so impressed with how much they opened up. 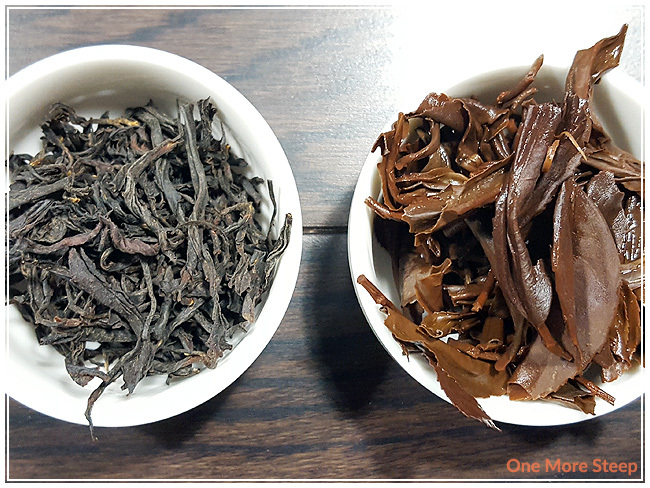 I was a bit disappointed that it didn’t hold up for a third steep, but the first two steeps were delicious and so varied for being from the same tea, it was fun to taste the differences between steeps.